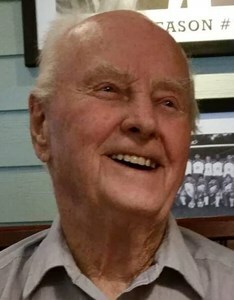 Donald Swift "Grampa" Rogers, age 88, of West Barnstable, MA and winter resident of Titusville, Florida for the past 15 years passed away on Tuesday, January 29, 2019. Don was born in Derby, Connecticut and served in the Navy. Following the Navy, he attended Bridgeport Engineering Institute and worked at Timex. He was a master plumber by trade but also a handyman who worked on fixing almost anything, including the operation of his Holiday Farm Cottages on Cape Cod and a member of the West Parish Congregation church. He loved gardening and reading and also spent a lot of time taking walks as well as playing golf and tennis. His greatest pastime was when he was with his family. Services will be private. For friends who wish, the family suggests memorial donations to the West Parish Congregation, or to Cape Cod D.A.R.T in his memory. To share your memories of Donald or leave a special condolence message for his family, please click the Share Memories button above. Add your memories to the guest book of Donald Rogers. Holly and Barbara. Sorry for your loss. We had some good chuckles at the R of D.
So sorry for your loss, Don was a great guy and may he rest in peace. We had some great times in those limousines. Ted Monteiro. It was good to know him. My condolences to Holly, Barbara, and family. What a nice man, I always enjoyed him. Great smile, and always a pleasure chatting with him. He will be missed!